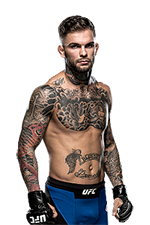 UFC 227 is this weekend and features two title fights -- at bantamweight and flyweight. 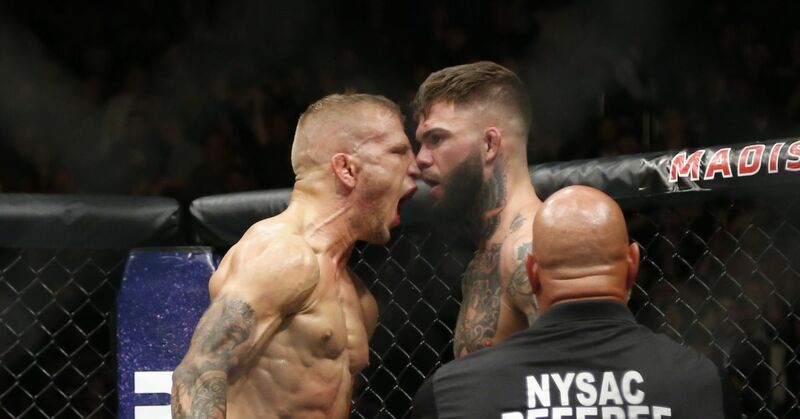 TJ Dillashaw headlines as he faces Cody Garbrandt in a rematch of their November bout at UFC 217, where Dillashaw stopped Garbrandt in the second round. The co-main event features a rematch from UFC 197, as Demetrious Johnson and Henry Cejudo lock horns once again. There was a time in which two title fights on one card screamed excitement and ratings. But with a few days to go before UFC 227 is set to hit television screens, we should set our expectations for a low PPV buyrate when it's all said and done. The narrative of doom and gloom is easy to buy into when it comes to UFC television ratings. The organization has struggled event after event to stop the hemorrhaging of viewers that have walked away from the product for one reason or another. The UFC has reached a point where if it’s not Conor McGregor, then the expectations for ratings and pay-per-view buys should be mediocre at best. But then what type of expectations should be put on this weekend’s event, viewership-wise? Looking at how both Dillashaw and Johnson have performed in the past, not that high. Dillashaw has headlined two events, UFC 173 and UFC 177 which brought in 215,000 and 125,000 PPV buys respectively. Both shows were hampered by injuries which forced Dillashaw into bouts against last minute opponents. Since then, he’s been strategically placed on multiple successful PPVs: UFC 200, UFC 207, and UFC 217 – three events that featured some of the biggest names that the UFC can put in front of its audience. Dillashaw has performed well on each of those cards; now it’s time to see if that strategy will translate into Dillashaw becoming a PPV draw of his own. Johnson, on the other hand, has not received the same type of strategic placements. "Mighty Mouse" has been the UFC Flyweight Champion since 2012, when he defeated Joseph Benavidez to secure the inaugural title at UFC 152. It’s well documented that PPV events with Johnson as the main attraction have struggled. He headlined UFC 174, UFC 178, UFC 186, and UFC 191. The first two were against challengers that didn’t come with a lot of excitement, but UFC 186 and UFC 191 featured two big wins for Johnson against exciting fighters in Kyoji Horiguchi and John Dodson, neither of which translated into PPV buys. Of those four events, only one reached more than 200K buys. So that brings us to UFC 227. The main event and co-main event features two champions that haven’t proven themselves as big draws in any shape or form. The UFC's last pay-per-view offering, UFC 226, featuring a superfight between the UFC Heavyweight Champion and UFC Light Heavyweight Champion, was expected to top 400K buys easily, but it failed to do so, ending up closer to 380K. If that show, which featured a historic moment in Daniel Cormier taking the UFC heavyweight title didn’t perform well, how can we expect big numbers for UFC 227? Without even diving into the full card, it's easy to see that UFC 227 is an event that was doomed from the start. With very little promotion occurring around the two-title showcase, and the promotion itself relying on two champions that haven’t been top draws in the past, the UFC is setting itself up for another abysmal night when it comes to television ratings and PPV buys. 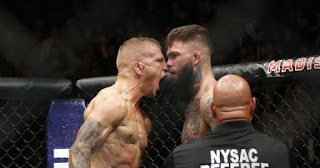 Dillashaw and Johnson are two talented champions, but the UFC is failing them – and the rest of the roster – when it comes to proper fight placement and promotion. 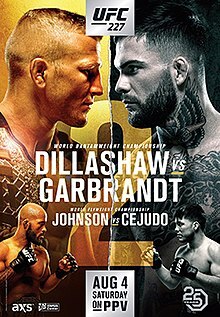 UFC 227: Dillashaw vs. Garbrandt 2 takes place August 4, 2018 at Staples Center in Los Angeles, California.